This Way WP is a Responsive WordPress theme built with elegance to showcase your work smartly on Portfolio sites. This theme is available with two different skins namely dark and light. As this theme is specially designed for Portfolios and photography, it provides fullscreen background images and videos, audios playing continuously. 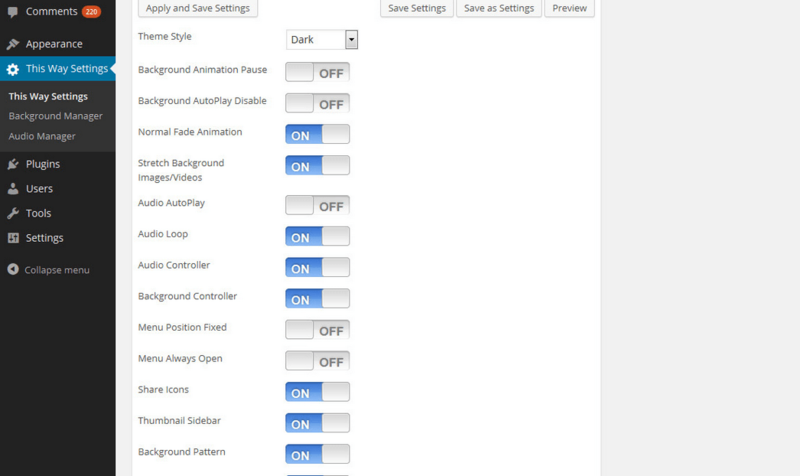 Another key feature of this theme is that it comes with a unique navigation menu style which appears on hovering menu Opener and Closer Text. It provides a quick view thumbnail slider at the right which plays background images and videos continuously. It provides unique blog layout for blog page showing a thumbnail featured image and excerpts at right. The background whether it is an image or video or audio is fixed and only the content is scrolled each time a page is scrolled. 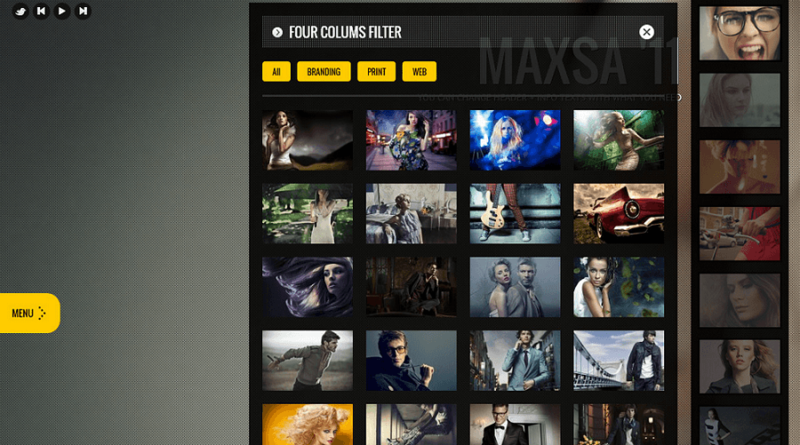 Another template provided is for Portfolio- It has two main templates, one with 2 columns and another with 4 columns. 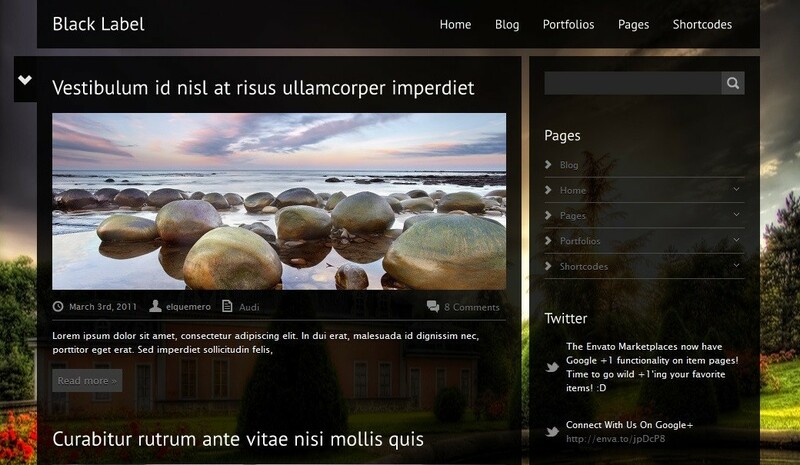 It also allows to embed video portfolios. 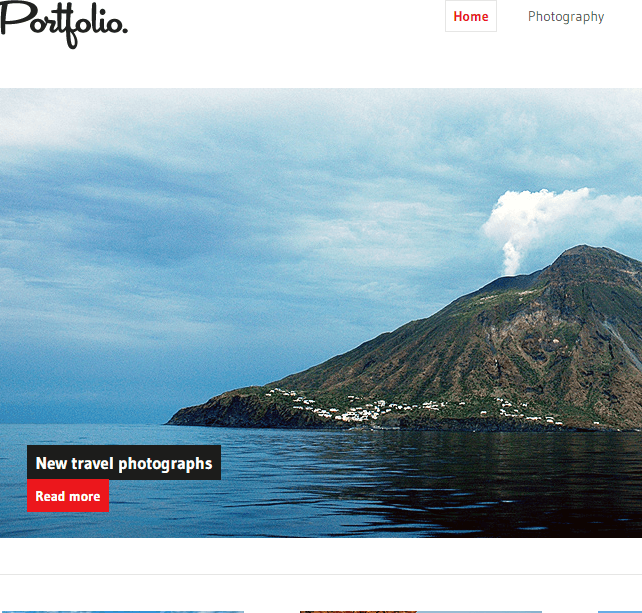 All the portfolios are provided with attractive hover effects. It allows you to add unlimited videos, images at the background as well as on content of pages. It gives shortcodes to divide content in to columns of different sizes. Some of the general features are Audio support, Ajax Content Loading, 4 columns design options, Portfolio filter, Contact form validation, Twitter feeds, Pretty photo lightbox, 650+ Google fonts, button shortcodes, etc. Theme is not update since 6-7 months. 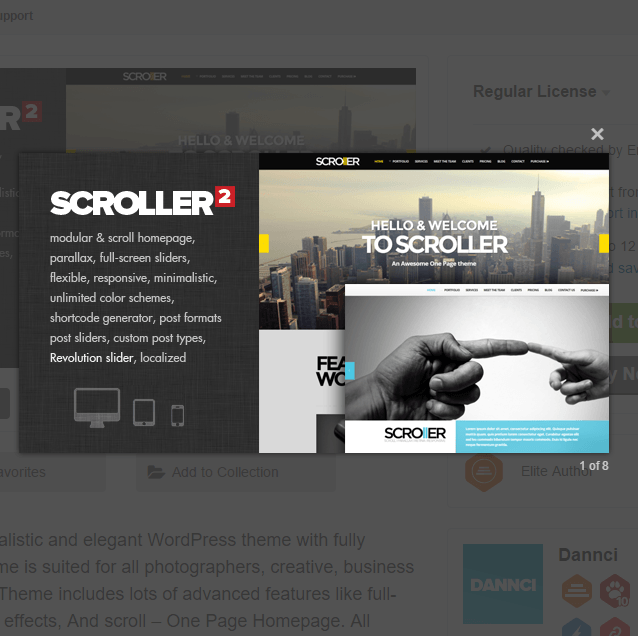 Waiting for new update of theme compatible with latest version of WordPress as well as responsiveness. A creative WordPress portfolio theme.